Volunteer requirements are set by the OUSD Board of Directors, and volunteer clearance is processed by the Oakland Public Education Fund, learn more by reading their Clearance Requirements document (Requisitos para Acreditación). 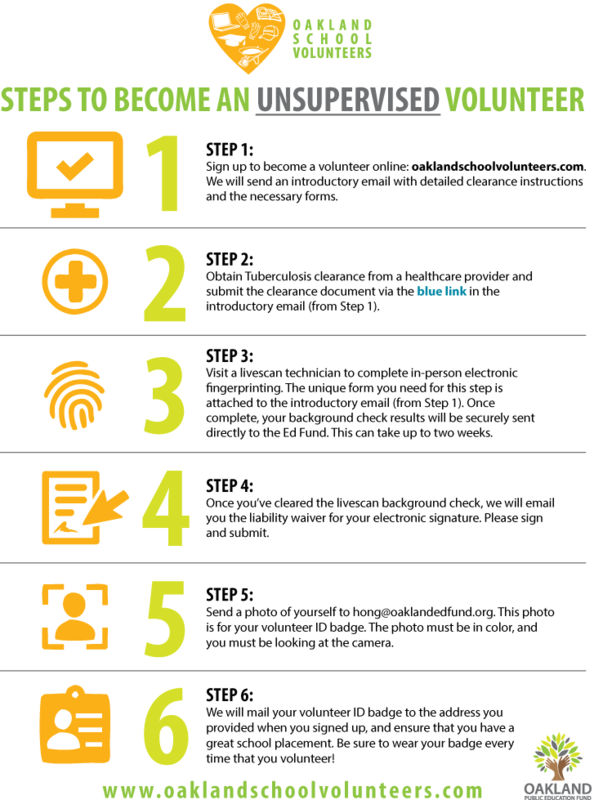 Start by signing up to volunteer through the Oakland Ed Fund. Scroll down to below the graphic for instructions for Field Trip Drivers. These above documents usually are requested directly by your child's teacher, from only those who are driving. You can fill them out and turn them in back to the teacher, or to the office. Thank you so much for helping to support all of our kids and teachers in the classrooms! This website is a project of the Peralta Parent Teacher Group. Powered by Squarespace.